Bed Bug Barrier Testimonial – Perth 6152. 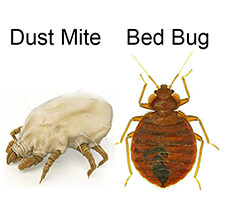 I’m really so grateful to Bedbug Barrier for all your assistance during the terrible time when My home was invaded by bed bugs. Your products were invaluable in ridding my home of these pesky and persistent pests. The bed bug mattress covers, the use of the puffer to directly apply the diatomacious earth and the steamer were all great! I can’t thank you enough for also being so supportive and available by phone with thoughtful and very constructive encouragement.